Mayra here , with today's fun post . Are you as excited as I am about the March Release and 1 year Birthday Bash going on next week ? I can't wait for you to see all of the wonderful new stamps and projects we have created to inspire you !!! We are also going to be hosting games on Facebook , and have lots of wonderful sponsors !!! I was looking through the cute stamp sets from Craftin' Desert Divas , to see what I was going to work with for today's post . As soon as I came across this Baked With Love set ( look at the cookie ) I knew this was it !!!!!! The images and sentiments do all of the work for you ~ all you have to do is decide which colors you will use !!! I also love that the matching SVG's are available for free, with the purchase of the set . I chose a softer color palette ~ pinks and golds . I kept the designs simple . Please feel welcome to visit my blog ( here) for all of the details about these cards . I hope you have a wonderful day !!!! SO so cute!! 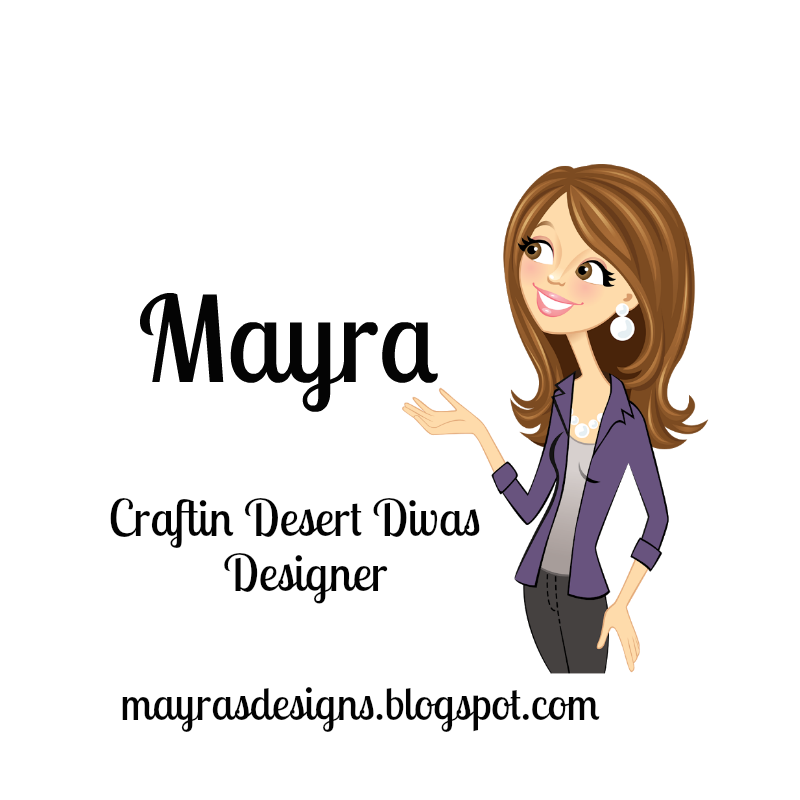 Loving this batch of cuteness, Mayra! I can't wait to use this set...thanks for the inspiration.